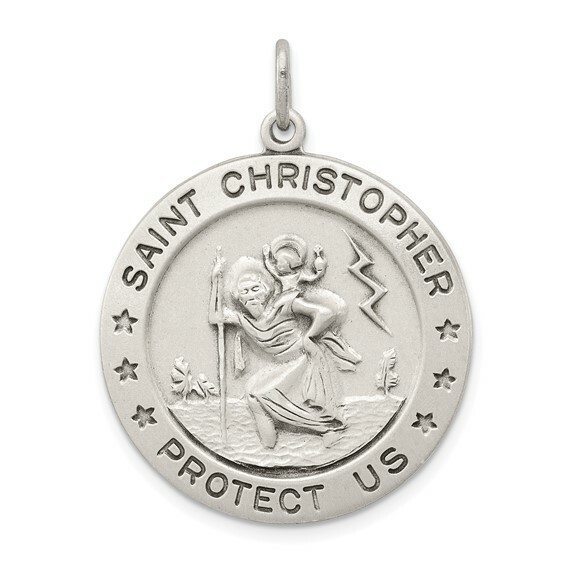 Solid sterling silver St. Christopher Medal has a satin finish. Item size: 1 inch tall by 1 inch wide without bail. This item is the size of a quarter. Antiqued. Weight: 7.69 grams. Chain not included. We purchased the st Christiopher Medallions for our boys for our blended family wedding ceremony. They were perfect! Ages 7-15... they looked amazing and we're a very special addition to our special day.